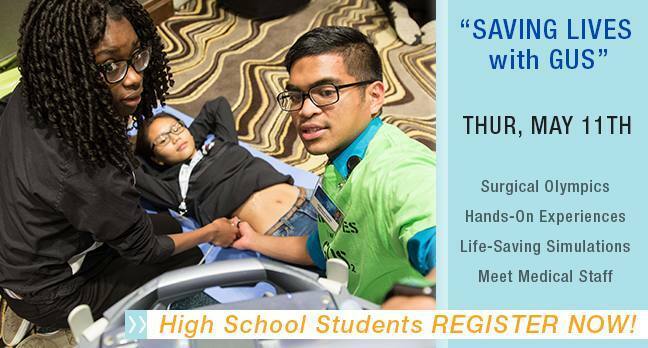 On Thursday, May 11th Dr. David Farley, a surgeon and educator at Mayo Clinic, and his team will host two 3-hour interactive sessions for high school students called "Saving Lives with Gus". Our goal is first and foremost to teach students how to save a life by using AEDs and CPR, but also give them a glimpse at what things medical students, surgical residents, and practicing physicians do! Use an ultrasound on real people! Attend discover a life-changing career!